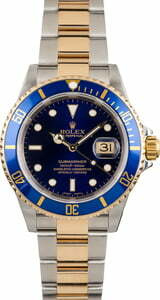 The Rolex 16613 Submariner in steel and gold is a popular choice among collectors who seek a mid-level gold Rolex watch. 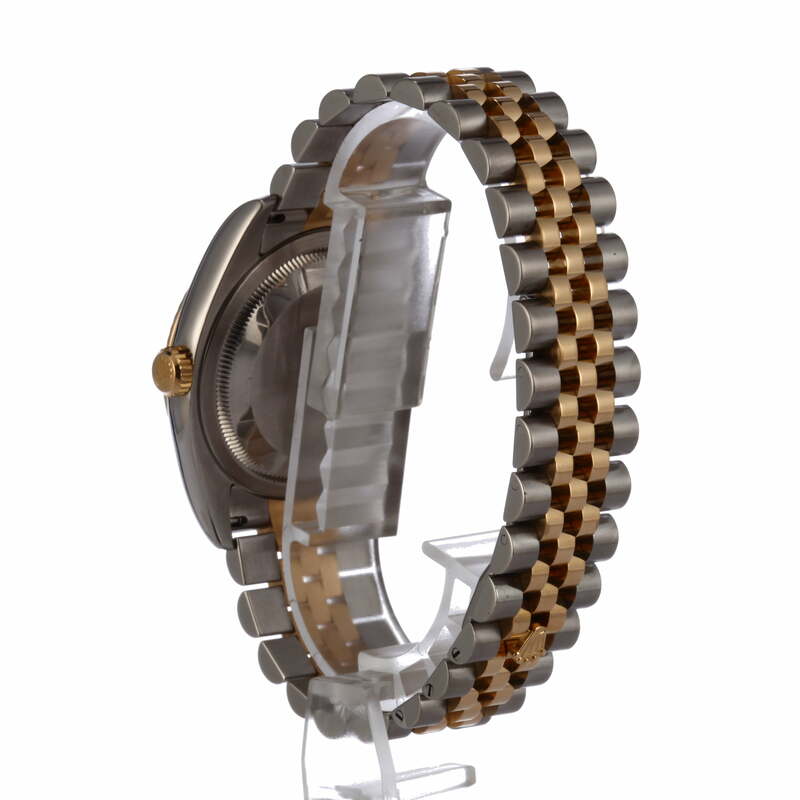 Its striking finish includes 18 karat yellow gold forged in-house as well as resilient stainless steel. 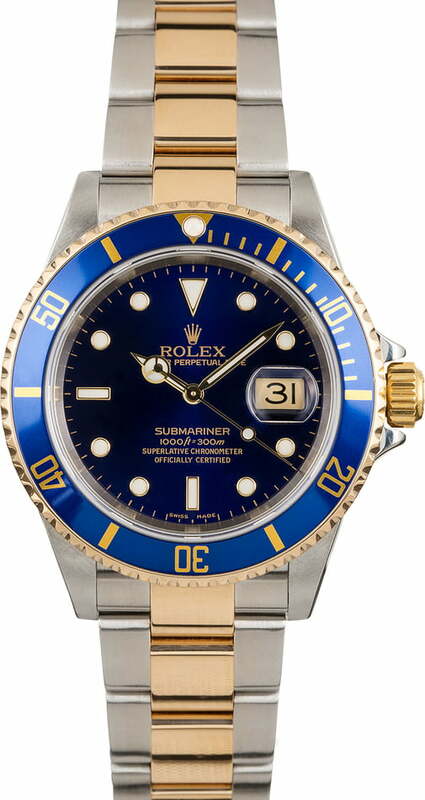 Rolex expertly pairs the two-tone finish with a bold blue dial and bezel, creating a feature set that is reminiscent of the ocean waters it was developed to work within. The pre-owned Rolex 16613 is a no holes variation with smooth lugs, which is highly desirable among avid collectors in-the-know. The ref. 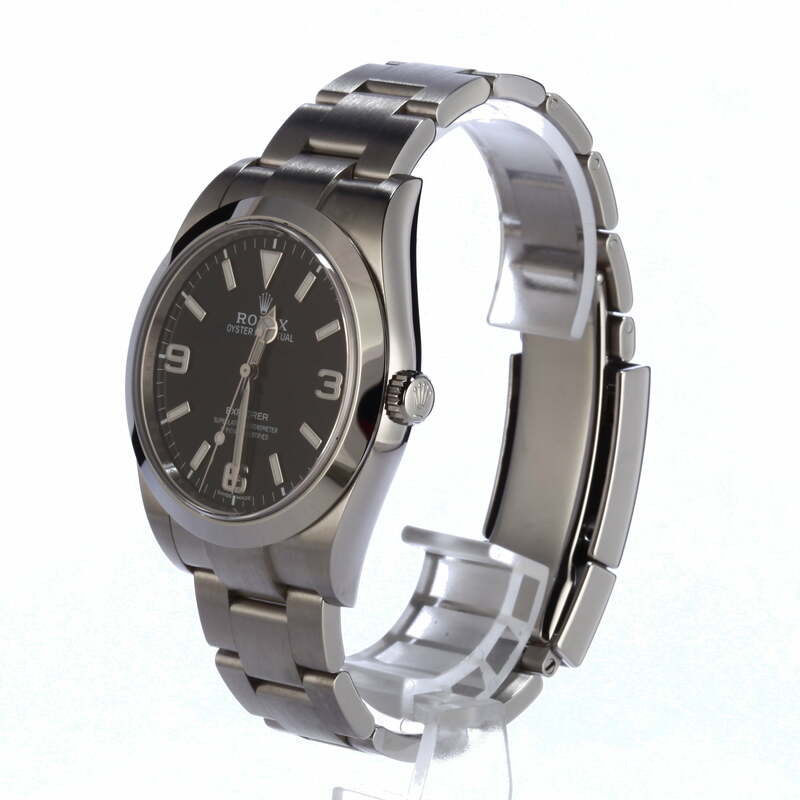 16613 that is presented here today is a newer model that was produced sometime in the mid-2000s and features a COSC-rated calibre 3135 perpetual movement, a scratch-resistant sapphire crystal over the dial, and Superluminova hour markers and hands.